If the utility was running the line in, they would not even put it in conduit and it would generally be 7200 volts. Granted they would put it (usually) 36 " down, but here is the thing with burial depths - this is a pet peeve of mine- I don't see that going deeper makes it safer. Actually maybe even the opposite. When you are digging with a machine, , the deeper you go the harder it is to see down to the bottom. I think you are more likely to see and catch a conduit buried 12" than 36" . Regarding hand digging, I just don't think it is very likely that one would be hand digging and hit and damage , let alone not even see a shallow buried line. I mean there is some common sense that needs to happen here, I wouldn't run it through the garden for example. One can certainly go deeper if it makes you sleep at night, but my point was that 7" bed edger machine can go through trees where nothing else can get to. In my case, it was 1900 feet through the woods. Clear cutting a swath for the tractor to get through was absolutely out of the question. Even if I could slither the tractor through the trees, I love my trees and wouldn't want to do all that damage digging a deep trench. Of course trenching down the driveway makes sense, but for me much of my driveway is ledge and It wold be twice as far following the driveway. For full code compliance, one could use IMC (intermediate metallic conduit) which would only need to be 6" deep. It's a big cost jump from schedule 40 pvc though from 20 cents a foot for the pvc to about 1.20 for the IMC. I guess in the scheme of things, that's only $2500 premium for a half mile run and better for the environment. Are "BURIED CABLE " notification signs on a post every 300 feet or so not required in your neighborhood? When burying an electrical feed, a plastic caution tape is usually placed about a foot below the surface, 2 feet above the conduit, along the entire length, to prevent possible damage. This may or may not be a local requirement but is good practice none the less. There may also be a requirement to register where the service is located so records can be kept, for example in BC Canada there is a "Call Before You Dig" hot line which will provide, for free, where utility lines, electrical, gas, sewer are approximately located. > Are "BURIED CABLE " notification signs on a post every 300 feet or so not required in your neighborhood? There is no such requirement in the nec and I have never heard of such a local requirement. As mcgivor said, usually just buried line tape. I say go off grid - but downsize your electrical needs greatly. Referring to what @Estragon said about lifestyle aspects, you can try this now at your current residence simply by limiting your electrical usage. A simple 5 dollar watt meter can tell you how much juice each appliance uses. You can start rationing your electrical right now before you make the jump to see if you can do it or not. If you are not willing now, you won't be later either. We're leaning toward going completely off-grid, but are still exploring all of our options. Any system will be somewhat expensive, but we don't necessarily want to pay a monthly bill on top of it. Safety and reliability are also concerns. I have lived in (and preferred) homes with gas appliances and wood stoves and fireplaces, but my wife hasn't. She seems willing to make the necessary adjustments, as she is falling in love with this scenic property. we have one and absolutely love it. house is warm in the morning. I hate to disagree with Mike but a well designed wood stove is just as functional as a masonry heater. A well designed and properly specified wood stove will also meet local codes and have the Certs that some building departments require. I am up to near 150 homes offgrid and very few went that route in the end. Pretty soon the pressures of building in a remote place add up and the ease of installing a very nice wood stove wins out. They are both lovely when done right! Maybe we're not talking about the same thing. I'm talking about 2 tons of brick and rock, with labyrinth of smoke passages to extract the heat out of the smoke, before it goes outdoors. The surface is always pleasantly warm, never hot enough to burn skin. It provides a radiant heat, and the wood is burned in a raging hot fire with little emissions and no catalyst required. There is only loading the wood, and lighting it. No adding, no banking for overnight. How can a 300# iron stove or plain fireplace compare to that? "Hearthstone" soapstone stoves, have a iron core, connect to a standard flue, and have some thick soapstone walls to buffer the heat, one of them would be my 2nd choice, or the Vermont Bun Baker is also soapstone, but small. Our core: "Temp-Cast masonry heaters can serve as the primary heater in a well-insulated modern home of up to 2000 sq. ft. (185 m2), when located in the middle of an open plan living space. On each firing of 50 lbs (22kg) of wood, a Temp-Cast 2000 fireplace can deliver up to 250,000 BTUs (73.2kw) of radiant heat. Total heat output"
Thanks for that info, Mike. My background is in architecture and I'm big on passive solar heating via large masonry mass, so was already planning a mid-room masonry woodstove just far enough back from a south window where the winter sun will hit it but not summer sun so hopefully I won't even need to build a fire when the days are warm enough and you only need heat at night, when the masonry will radiate it back. I think the plans for that masonry woodstove just got a lot more complicated and more efficient for when a fire is needed. 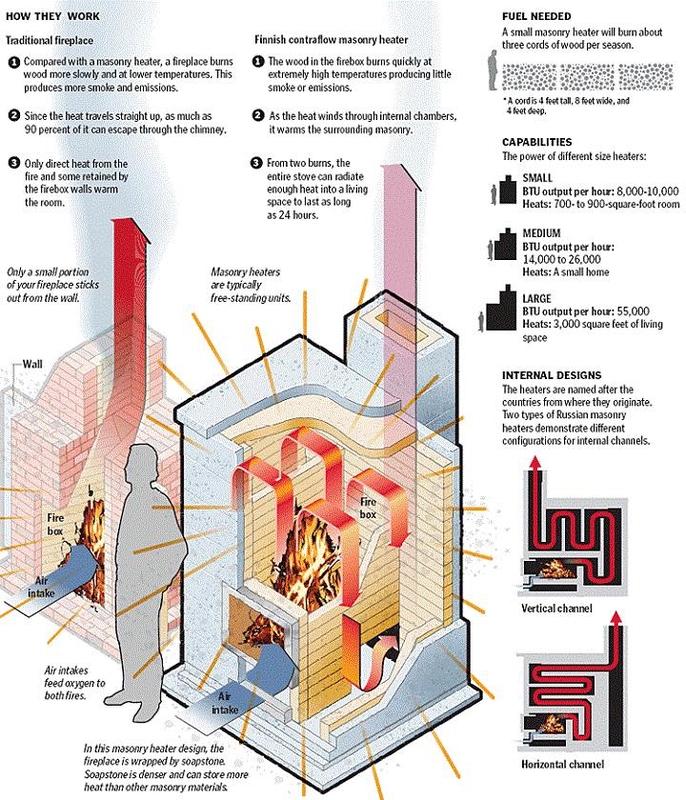 Spent a few winter months in East Berlin, the apartment had a coal fired masonry heater in the center, a bucket of or two of coal kept the place warm all night, not the most environmentally friendly means, but very comfortable source of heat. I compare it the same way you do Mike. I am as warm and comfortable as I want to be be in the morning. It may take some planning (a log in before bedtime) but not a big deal. I have clients and a neighbor with one like yours. They are nice but not for that big of a deal. I also have had clients get old and their desire to deal with firewood is lost. In an afternoon a good stove company can switch them out to a pellet stove and this challenge is instantly reduced 90% for them. Big tree down in the road a couple miles down the hill. More oak firewood.... I forgot to add the purpose of the picture is what is not in the picture. There is not any smoke coming from the fireplace as the home is being electrically heated from a mini split heat pump with close to 4 to 1 the efficiency of resistance heat. Their process is that the entire stove is welded together... making it air tight. They are nice Eric ! Can't imagine not having tea and coffee off the stove and the added moisture is nice also. Air tight is code now everywhere I think? The reburners for keeping the glass clean and all. I can't keep up with all the stoves my clients use. They are all good though and I look at it from the early days when people were using ground source pumps and how quickly they were replaced with the mini-split and other air source pumps. Fascinating possibilities! Thank you all for making this site so viable. I am glad that we started researching this long before we actually build. We are now considering contacting a Pennelec/ FirstEnergy engineer to estimate the cost of running an underground line back to the building site. I would imagine that they would need "pull boxes" every so many feet, and at that distance they may require larger diameter conduit and heavier gauge wire to minimize voltage drop. > If the utility was running the line in, they would not even put it in conduit and it would generally be 7200 volts. Granted they would put it (usually) 36 " down, but here is the thing with burial depths - this is a pet peeve of mine- I don't see that going deeper makes it safer. Actually maybe even the opposite. When you are digging with a machine, , the deeper you go the harder it is to see down to the bottom. I think you are more likely to see and catch a conduit buried 12" than 36" . Regarding hand digging, I just don't think it is very likely that one would be hand digging and hit and damage , let alone not even see a shallow buried line. I mean there is some common sense that needs to happen here, I wouldn't run it through the garden for example. One can certainly go deeper if it makes you sleep at night, but my point was that 7" bed edger machine can go through trees where nothing else can get to. In my case, it was 1900 feet through the woods. Clear cutting a swath for the tractor to get through was absolutely out of the question. Even if I could slither the tractor through the trees, I love my trees and wouldn't want to do all that damage digging a deep trench. Of course trenching down the driveway makes sense, but for me much of my driveway is ledge and It wold be twice as far following the driveway. > For full code compliance, one could use IMC (intermediate metallic conduit) which would only need to be 6" deep. It's a big cost jump from schedule 40 pvc though from 20 cents a foot for the pvc to about 1.20 for the IMC. I guess in the scheme of things, that's only $2500 premium for a half mile run and better for the environment. > Fascinating possibilities! Thank you all for making this site so viable. I am glad that we started researching this long before we actually build. > We are now considering contacting a Pennelec/ FirstEnergy engineer to estimate the cost of running an underground line back to the building site. I would imagine that they would need "pull boxes" every so many feet, and at that distance they may require larger diameter conduit and heavier gauge wire to minimize voltage drop. Around here it would cost about $12 per foot to have the utility run underground primary in. You would supply the trench and protective sand backfill (no conduit). They would lay in the cable and terminate to a padmount transformer. Assuming you plan on living there a long enough period of time, your total out of pocket cost will be roughly half, if you are paying a monthly bill (including the monthly bills), compared to replacing batteries, charge controllers, and inverters on the regular basis which they require being replaced. I'm talking on the order of 20+ years, not two or three or five, btw. Also remember that even the panels themselves do not last forever, although as the longest-lived piece of an offgrid system, they will very likely outlive you and I. We do plan on spending the rest of lives "out there" when I retire, and if I pass on before my wife does, I wouldn't want her to be saddled with equipment that would need constant monitoring. Understood. Unless she is the type that sharpens her own mower blades, and repairs her own lawn mowers/automobiles, there is a very good chance that she wouldn't care for it. Also remember that it is NOT the equivalent of the electrical service you're buying right now. No blow drying hair, no electric curling irons, no electric coffee pots, no electric bathroom heaters, no doing laundry on any day that is not sunny, etc, etc. Consider just spending a few thousand extra dollars making your new house energy efficient, like using 2x6 exterior walls with lots of insulation, fewer windows, lots of attic insulation, and white shingles or white metal roofing, and your electric costs would likely be less than half of what they are today. The only actual way to save money on energy is to use less of it. I disagree with the above. 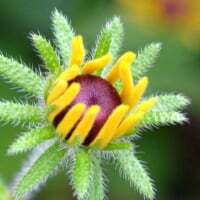 Everything can be the same if the design is right. You get to choose if you want spartan or seamless. Saving money is always nice. Using less energy helps but the larger systems come with more headroom also! Living in a beautiful place at the level you expect is just the price for what you want to do. It has never been easier to live offgrid and I speak from over 25 years experience with my wife, and the other 150+ people we enabled. use double 2x4 walls with staggered placement to eliminate "cold bridging'' using sealant on the places where it is not possible to stagger the studs. 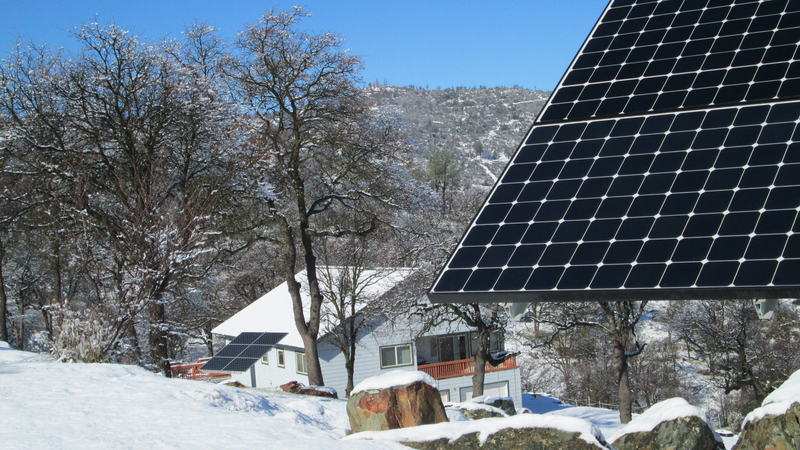 See my Sig below for what an off grid system can deliver year round. Just serviced my genset. Excluding monthly exercise and despite extended periods of inclement weather and the delay associated with replacing under warranty one of or CC's it only ran four times (about 16 hours) the past 12 months. Still a mandatory redundancy item for a well designed system. Everything continues get more efficient and productive since we built the initial system in 2005. I don't understand where this obsession with living off grid comes from.. practically everyone who lives off grid still has cars and internet. There are many aspects to "homesteading": building your own house, harvesting your own wood, building/improving/maintaining a road, digging a well or developing a spring, growing your own food.....I don't know why everyone jumps to electricity as THE THING to do. I would put growing my own food at the top and making my own electricity pretty much at the bottom of the self sufficiency wish list. It's more about location than WANTING to go off grid. If grid power is available it's 99% of the time cheaper to stay grid tied. OTOH, for whatever reason people chose a remote piece of land to develop and live on, the grid may not be available or cost effective to bring in. I doubt anybody would willingly pay 5 times the grid price for electricity along with the maintenance involved with an off grid set up. There are those who are misinformed romantics, thinking they would be going green, reducing their carbon footprint, saving the planet, getting free energy from the sun and so forth, couldn't be further from the truth, I would be inclined to agree with you regarding such people. 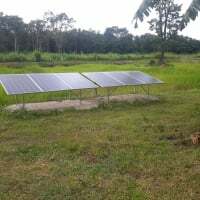 Personally I am almost self sufficient growing my own food raise animals, sometimes actually selling excess rice, can't eat 15 tons, but I would have grid if it were available, now 600 meters away. I'm not off grid for the wrong reasons, in my opinion of course, just trying maintain a certain standard of living, which is modest, but not excessively, I could just as easily move to the city, but what would I do with all that free time? Lifestyle choices, what's good for me may not nesesarally be good for others and vice versa. True for us. We don't necessarily want to go off grid, but we spent 30+ years searching for ground reminiscent of a State Park, and the "perfect" spot to build our down-sized retirement dream home. We didn't want to cut a 2000' or so by 50' wide swath, down to scorched earth with vegetation killer, through 100' tall oak trees, nearly through the middle of the property, just to have electricity. That would just ruin the views! We wouldn't be "out there" anymore. The 50' wide swath is mandated by PennElec, then an additional $10+ a foot for the lines, plus the cost of the poles, then the monthly bills, then the long outages, etc. We may spend tens of thousands of dollars more now to run the primary lines underground to a grid-tied system. We would still need an emergency back-up system, as our property is the last one on a mile or so long dead end back road, even further back than the last hunting camp. We would be lowest on a utility company's power restoration priority list. After a severe storm, It could be many days, or even weeks, until the power would be restored. That is just the reality of it all. We chose our property knowing the grid was 5 miles away. We have a 3.8 kW system and we do laundry when we want to. We have a microwave, a toaster oven and an electric Mr. Coffee. My backup generator has only kicked in about 10 days a year, mostly in January, but also a couple days in June when the whole clan shows up, which means blow dryers also. We love being off the grid. I firmly believe the grid is a ticking bomb and will start experiencing problems one of these days. Read Lights Out by Ted Koppell. I say go for it, and don’t ruin that view. For your Mr. Coffee Do you brew then shut off the machine? I pour my coffee into a insulated carafe to keep it hot. Saves a lot of power. The coffee doesn't seem to get old and burnt tasting in the carafe either. I noticed you seem to be a bit under paneled for the size of your battery. How many amps do you get at full bulk charge? Do you have about 780 ah. of battery?